The youngest of the world's beverage categories, cream liqueurs arose as spirits just a few decades ago. 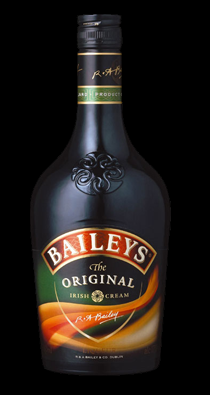 The "cream of the company," Bailey's retains an unbeatable lead in gross sales. At the world cup, 1600 units of it were consumed in the opening minute. The success story began in 1974, when the technical conditions allowed manufacture of bottles which did not destroy the all-natural ingredients: Irish whiskey, fresh cream, cocoa and coffee with vanilla. Ever since, Bailey's has maintained a pledge of quality and long shelf-life.